For the latest round of The Healthy Mummy 28 Day Challenge, we’ve made it even easier for you to save time and money when following the Challenge as you are in control of which meals you prepare and how often. Our team of nutritionists have prepared a new selection of weekly recipes to give you variety and healthy choices to make the Challenge interesting for you but you can decide whether you follow these recipes or choose from recipes from previous Challenges depending on your budget, tastes and needs. The best way to save time and money when following a new meal or exercise plan is to make some time initially to plan your weeks. Knowing what you’re going to eat and when you’re going to fit in exercise and meal prep will save you lots of time in the long run. Once you’ve done a few weeks of “weekly planning” sessions, they’ll soon become like second nature and you won’t have to think about it so much, as it will just be part of your usual healthy lifestyle. 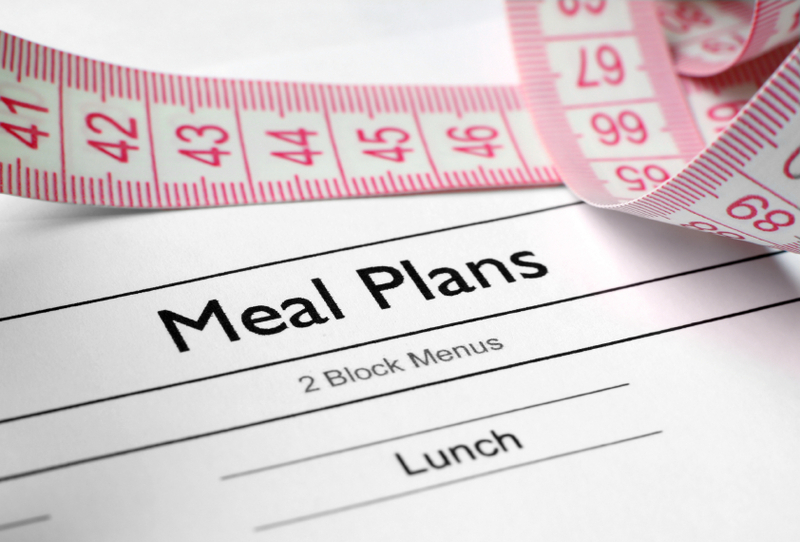 Get organised and set aside time each week to sit down and work out what meals you are going to have. You are in control of this so you can choose recipes that have the least amount of ingredients, ingredients you already have in the cupboard, so you don’t need to purchase more, or recipes using ingredients that use less expensive items e.g. mince over steak etc. When planning your weekly meals, double up on recipes that can be refrigerated and frozen and then you can save money by buying ingredients in larger quantities. Sometimes there are more than one option for ingredients e.g. extra virgin olive oil, peanut oil, vegetable oil etc. If you don’t want to purchase each variety, just choose the one you cook with the most and then substitute it when other options appear in recipes. There may be cases when you do need to use a specific variety, for example you wouldn’t want to roll sweet Date Balls in sesame oil before covering them in coconut, so using the specific coconut oil for these types of recipes is recommended. You can also choose your favourite options for ingredients like flours, sauces, vinegars etc, rather than purchasing every variety listed on the Shopping Lists. Read the recipes before heading to the supermarket and see where you can make swaps or use what you already have available. Everything on the Shopping Lists can be purchased from a large supermarket, or are specified if not. Increase serving sizes on some recipes so you can feed the whole family and not have to buy something separate for them. There are lots of very family friendly recipes to choose from. When possible shop locally for your fresh fruit & vegetables so you can just purchase the quantities specified in the shopping list, rather than buying pre-packed items that will increase your shopping bill and often can lead to food waste. There are a number of fresh herbs used in the recipes as these are an ideal way to make meals tasty whilst keeping things healthy. If you don’t want to spend the extra money to buy fresh herbs you can always use dried, semi-dried or frozen options. Read our tips on freezing herbs and other food items so you can buy in bulk if it’s cheaper. Go to a local butcher or supermarket that allows you to specify fresh meat, poultry and seafood quantities to match the list’s requirements. Or buy these products in bulk and freeze what you don’t need straight away so you can make the recipes again and continue with your healthy eating diet plan when the Challenge is over. Visit the deli counter at the supermarket to specify quantities for cheeses and deli meats rather than paying for a large packet if you don’t need to use all of it. If your local supermarket has a self serve section for dried fruits and nuts then you can easily purchase smaller quantities of the seeds, grains, nuts and fruits that are listed in each week’s shopping lists. Or buy these items in bulk and store in the pantry for use throughout the Challenge. Ingredients that aren’t as common or that you may not already have in your pantry e.g. Tamari (gluten free soy sauce) or Sambal Oelek (chilli paste) have been used in a number of the recipes throughout the whole Challenge so you should only need to buy these items once which will keep costs down. You could always use alternatives for these types of ingredients if you prefer e.g. use normal soy sauce or your own favourite chilli paste. If the suggested fresh meats and seafood are too expensive at your supermarket or shops or you don’t like something, then choose alternatives e.g. use tinned salmon instead of fresh or replace fish fillets with lean chicken breast or similar. Remember to work with your preferences and what you may already have in the pantry. If you can make a healthy substitution for an item on the shopping lists that will reduce your grocery bill, then do it. Just like following a budget, saving on time requires a bit of planning to start with and then it’s easier to fit everything in. Create a weekly schedule in your diary or on a planner allocating time for your exercise, time for meal prep, time for shopping, time for your work etc and stick to these times like you would stick to appointments or meetings. Most of the recipes on The Healthy Mummy 28 Day Challenge can be ready in under 20 – 30 minutes. As you are in control of which meals you want in your weekly meal plans, you can choose how much work you want to do with meal prep e.g choose the easier to prepare recipes if you don’t have much time or double up on recipes and make a larger batch to refrigerate or freeze for another meal. 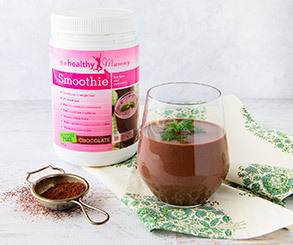 If you’re really pushed for time in the mornings or at lunch then try The Healthy Mummy Smoothies and have ingredients for your favourite combinations readily available, to quickly combine when you’re in a hurry. Prepare some “snack bags” at the beginning of the week – fill with nuts, veggie sticks, dried fruits etc and grab when you’re leaving the house or going to work so you have something to keep you going when out and about. Recipes like soups, pasta sauces, casseroles and even some salads (if you don’t dress them until ready to serve) can be made ahead of time and/or frozen so you can have for another meal throughout the week. Most meals can be frozen other than leafy green salads that would become soggy in the defrosting process. Set aside time each week to pre-prepare as many meals as you can. You don’t have to prepare the whole meal if you don’t want to, doing small things like marinating meats and then refrigerating or freezing to use when needed, chopping up vegetables and fruits and storing in air-tight containers in the fridge or preparing larger quantities of often used grains like quinoa, brown rice or couscous, will all help make it easier and faster for you at meal prep time. If you like a particular recipe then make more of it. Making larger batches of porridges, soups, pastas, frittatas, salads etc will provide you with leftovers to have available for another day. A little bit of planning with shopping and meal preparation will ensure The Healthy Mummy 28 Day Challenge is a successful healthy eating plan for you to reach your weight loss goals. And don’t forget to share your tips, photos and weight loss progress on our Facebook page, Instagram, Pinterest. We hope you love the variety of food and recipes on the plan and that you are in control of your eating choices with the customisable format.